I have to remind my friends who are avid watchers of the FOX “News” channel that just because they have the highest ratings of the big 3 opinion cable channels doesn’t mean what they present is true. FOX peddles in what is called Argumentum ad populum. Facts and the truth isn’t subject to popular choice. FOX could have 300 million viewers a night and their race baiting still would not be factual. This entry was posted in Media, Politics and tagged Argumentum ad populum, facts, Fox News, MSNBC, race, race baiting, The Rachel Maddow Show, truth, TV Ratings on August 8, 2010 by Doug. I watched President Obama’s oval office speech on Tuesday night and it felt like it was missing something. Besides lacking specifics, the President threw in a bit about praying. MSNBC host Rachel Maddow gave a fake oval office speech on Wednesday night that was something I wish the real President had given. Thanks Rachel for a great speech. This entry was posted in Media, Politics, Television and tagged BP oil spill, MSNBC, Oval office speech, President Barack Obama, The Rachel Maddow Show, White House on June 17, 2010 by Doug. I am sick and tired. I have tried to watch them but I can’t stand it any more. They are hurting the political discourse in this country and outside the wonks who live and breathe politics, they have no relationship with average people. I’m talking about political talk shows. Here is the ultimate guide so you never have to watch them again. I should clarify one point. The shows and the news in general on the broadcast networks have an effect on average people more than those on cable but all of them still are pretty much worthless unless you obsess about politics. 3 Except for the MSNBC shows, the spin is at least misleading and in most cases lies. 4. Again except for the MSNBC shows, the hosts never really ask follow up questions. 5. The shows all have the same guests and those guests lean toward the GOP with a token Democrat in some cases. Again MSNBC is the opposite – having mostly Democratic or left leaning guests but the GOP rarely appears on MSNBC shows even as tokens. 6. MSNBC shows are better because they at least stick with facts and the truth even when it looks bad for Democrats and liberals in general. The other shows “concern troll” for the Democrats on all topics and accept the GOP talking points as true on their face. 7. 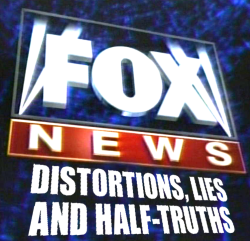 The hosts and/or guests on any FOX “News” shows are either stupid, racists, or both at the same time. 8. All shows tend to have stories and topics that are important only to those who live inside the Washington DC beltway. Occasionally, most likely the MSNBC shows will actually have a topic of importance to all Americans. 9. Most of these shows favor “drama” over substance where yelling and arguing is seen as “good”, except for Countdown w/ Keith Olbermann, and The Rachel Maddow Show. Or they obsess on the political process which is like watching sausage being made. 11. Although it seems some shows might be better than the others, at the end of the day you don’t need to watch them to keep yourself informed. They take up time better spent with friends and family and laughing and having fun. This entry was posted in Culture, Life, Media, Politics, Television and tagged ABC, CBS, countdown, Face the Nation, Fox News, Fox News Sunday, Guide, Meet the Press, MSNBC, NBC, PBS, Reliable Sources, State of the Union, Sunday Morning Talk, The Ed Show, The McLaughlin Group, The Rachel Maddow Show on April 11, 2010 by Doug.